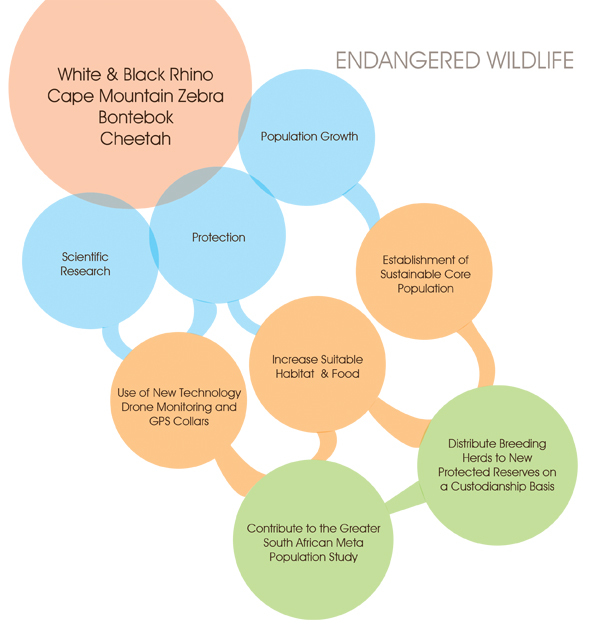 breeding program of free roaming Cheetah in the Western Cape. Our focus is on the relocation and long term sustainability of Desert Black Rhino, White Rhino, Cheetah, Bontebok, and Cape Mountain Zebra through the provision of habitat and prey species, detailed monitoring, research and anti-poaching training and implementation. The poaching of Rhino in Southern Africa, and in South Africa in particular, has been increasing exponentially over the past five years. 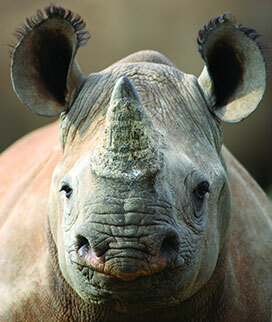 In 2013 more rhino were killed in the world than born. 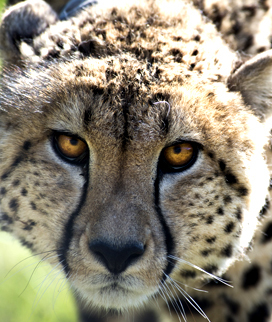 The conservation status of cheetah in Africa is listed as threatened. However, in some areas in South Africa and neighbouring countries, cheetah are still getting regularly removed by farmers with little knowledge of the genetic development of the species in the area.